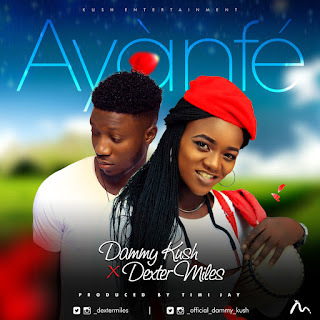 Damilola Kushagba popularly known as Dammy Kush teams up with Dexter Miles to unleash the much anticipated singled titled Ayanfe. Dammy Kush being the first lady of Kush Entertainment has made a brilliant move in featuring Dexter on what will become a mind blowing single. Ayanfe tells a story of two love birds who at some point had failed at love, with both hoping to rekindle it's flames once more.